What is the first image customers or employees see when they arrive to your place of business? 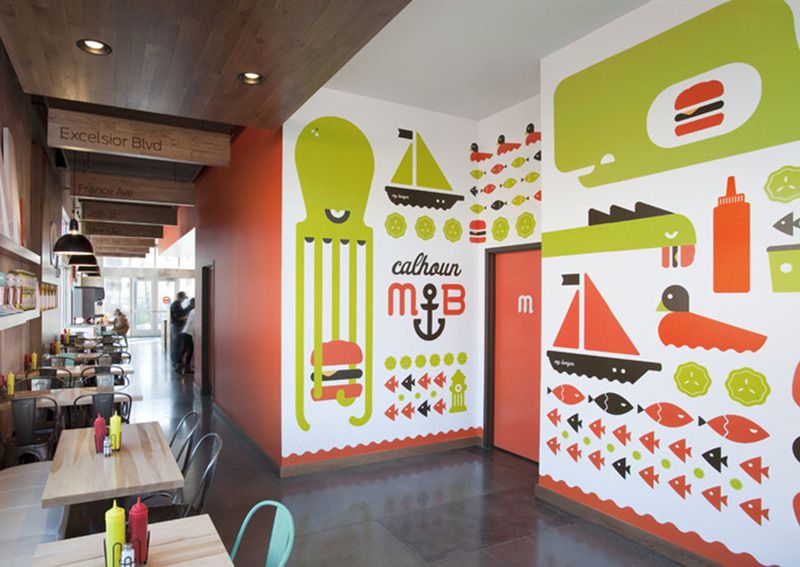 Do they see blank wall or vibrant graphics that bring the building to life? Inspire brand awareness and decrease stress by turning empty walls into vistas. BPGraphics has been producing large graphics for decades and we’ve learned how to take great ideas and make them huge. From wall wrapping logos to hallway vistas, we can make the simple spectacular. Because we print everything ourselves, the entire environment will match, weather printed on fabric, self adhesive vinyl, acrylic or other rigid boards. Our account executives enjoy working with clients to find the right mix of material, location and design for all projects. With a complete installation team, we can handle your project from soup to nuts. Turn a dull wall into a WOW or a building into a Kraken.